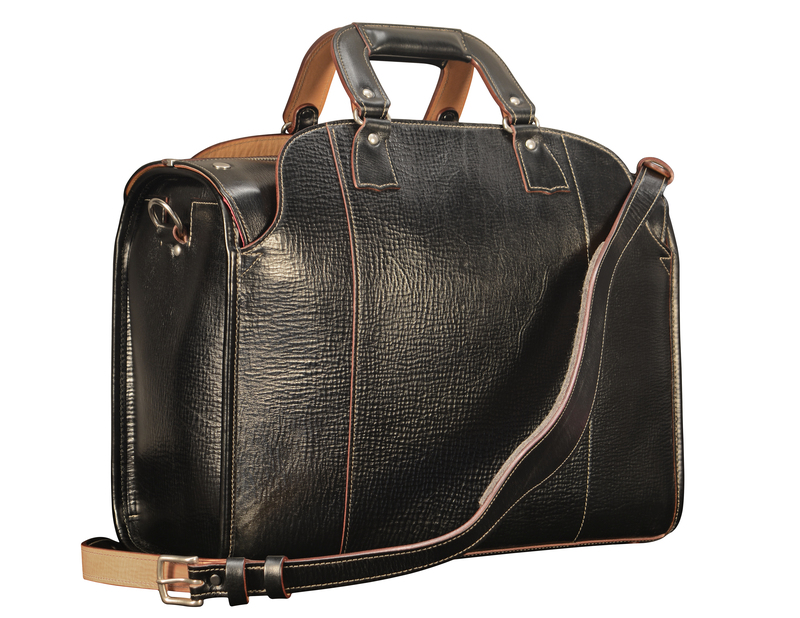 19″ hand-grained, hand-colored black Transaction Bag: $2500. 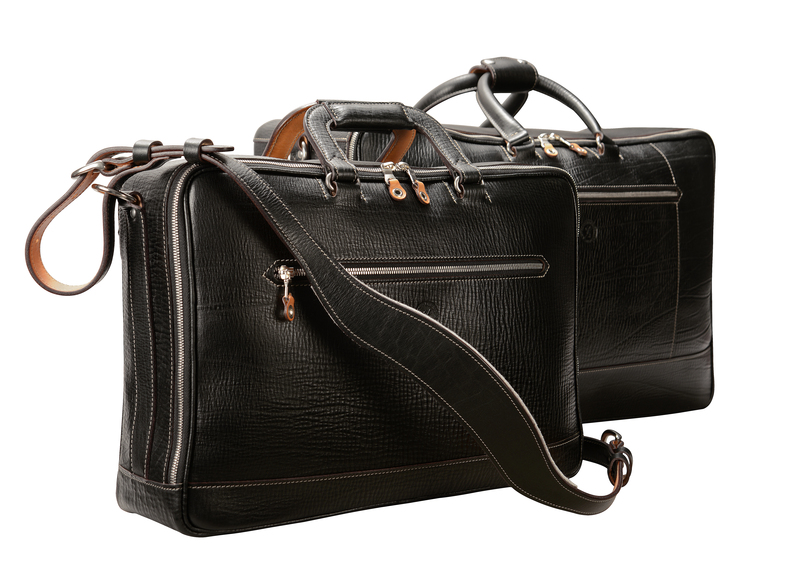 (Also available in hand-burnished leather: $1250). 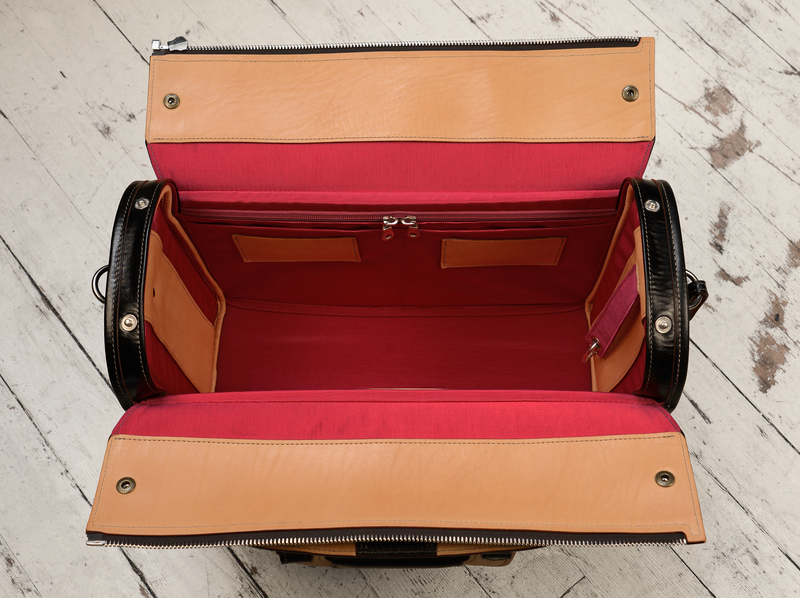 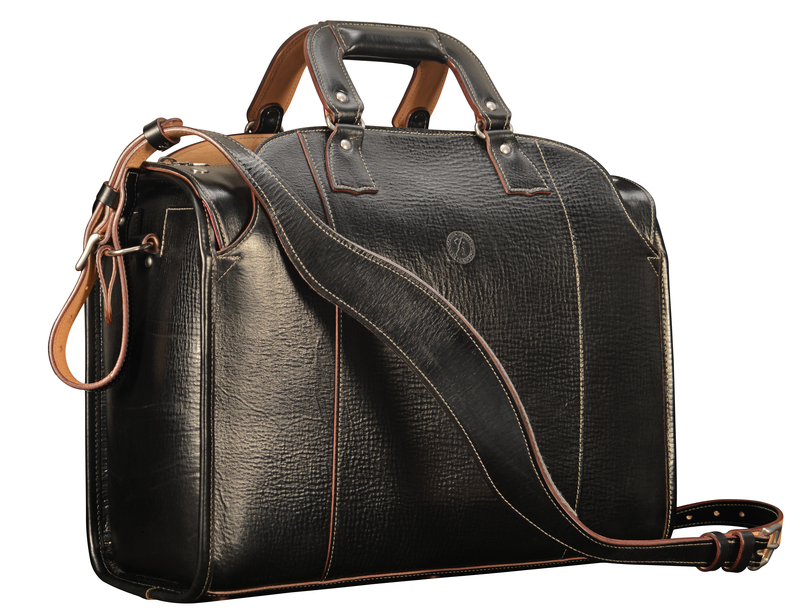 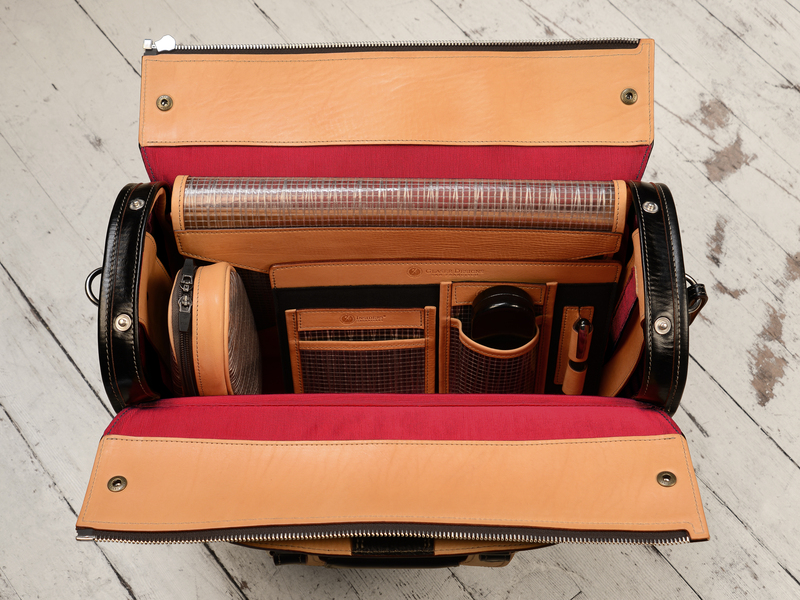 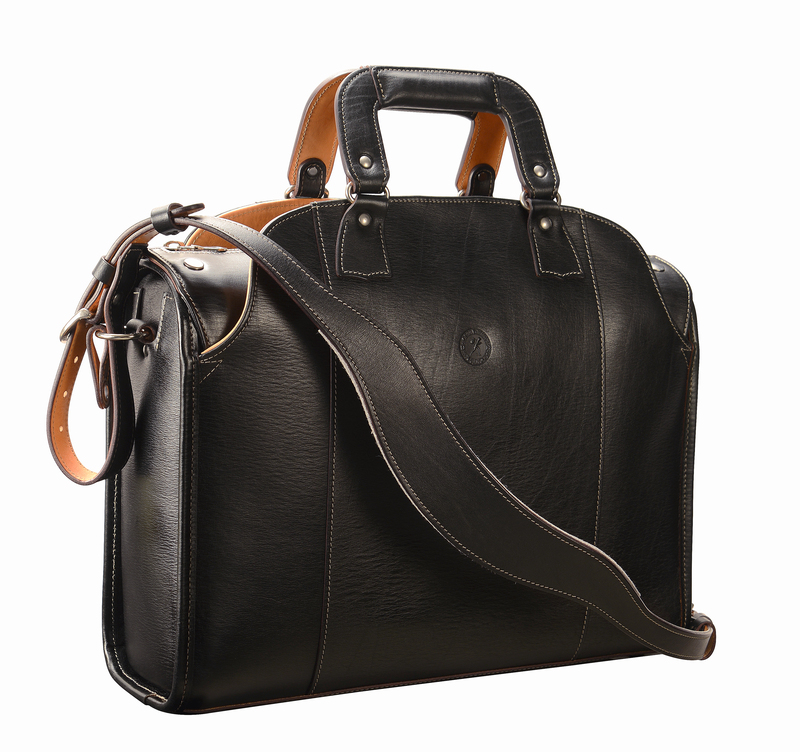 19″ hand-grained, hand-colored black Litigation Bag: $2590.